Celebrating thirty years since the inception of Australia's most enduring, trailblazing forces in rock 'n' roll, Sydney Opera House finally welcomes Nick Cave and the Bad Seeds as they end their four year silence with an exclusive career-spanning performance, featuring members of the Sydney Symphony and songs from their fifteenth studio album, Push the Sky Away. Delving deep into a songbook ingrained into Australian folklore, Nick Cave and the Bad Seeds' return to the stage is set to cast audiences into a cathartic ecstasy as they begin a new chapter of their illustrious career this coming February. Since forming his first band four decades ago, Cave's unparalleled journey has seen him imbue his signature baritone and poetic lyricism with a mix of traditional rock, blues, folk and gospel - joining a legendary lineage of songwriters through his work with long-term Bad Seeds collaborators, this tour including Warren Ellis, Martyn Casey, Thomas Wydler, Conway Savage, Jim Sclavunos and Ed Keupper. Beginning with his visceral performances as frontman of the influential post-punk band The Birthday Party to Bad Seeds classics such as 'The Ship Song', 'Into My Arms', 'The Mercy Seat', 'God is in the House' and his duets with Kylie Minogue and PJ Harvey ('Where the Wild Roses Grow', 'Henry Lee'), Cave has proven his longevity whilst maintaining a lyrical sensibility that meditates upon universal themes of love, death, violence and religion. Since his induction into the ARIA Hall of Fame in 2007 (and a famously ad-libbed appointment of the Bad Seeds), Cave brought his vision to the screen, writing the John Hillcoat-directed Lawless and The Proposition, whilst co-penning soundtracks for the Cormac McCarthy adaptation The Road and The Assassination of Jesse James by the Coward Robert Ford with Warren Ellis. 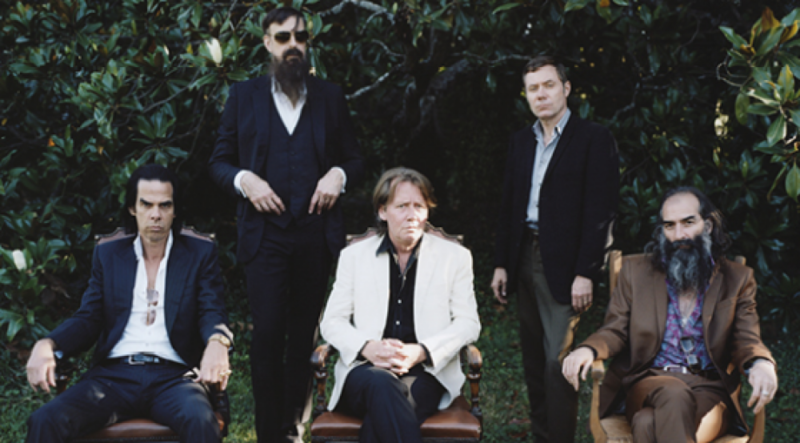 Now making his long-awaited return to the Bad Seeds, Cave has reaffirmed the group's pure, instinctive inventiveness with the release of Push the Sky Away making their Opera House debut a momentous occasion for a group immortalised in Australia's cultural landscape. Push the Sky Away, the fifteenth studio album by Nick Cave & the Bad Seeds will be released on February 15 2013, on CD/ Ltd CD-DVD / Vinyl / Digital. Copyright © 2019. All rights reserved. The Music House (Aus) Pty Ltd.